The details are still unknown to the citizens of the Town of Tonawanda but they can take heart that a solution for reusing the shuttered Huntley Generating Station plant may be on the horizon. NRG Energy has found a buyer. 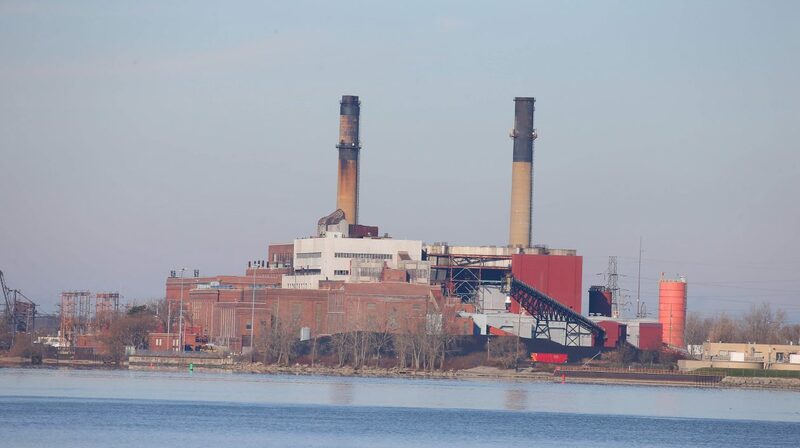 It is staying mum on the company, which has signed a letter of intent to purchase the coal-fired power plant along River Road, according to Supervisor Joseph Emminger. But the hush-hush nature of the deal can be forgiven if there is a road clear toward repurposing what was once a toxin spewing facility which, if it were not for grassroots environmental effort, might have continued even longer. Right now, there appears to be interest and a possible agreement that would continue to deliver untreated water to nearby companies that depend upon it. This could be a win-win, although the details matter. For example, it is not clear how long it would take for the parties to close the sale. Some issues to overcome include arranging financing and signing a formal purchase agreement. It is encouraging that the supervisor noted that this is a first step “in a long road to get this property redeveloped.” The Town of Tonawanda has sought proposals from energy companies, site selectors and developers for the past couple of years. The plant has a long history, dating back to 1916. The plant delivered not only for the company, but for the town, producing $6 million in local tax revenue. It had 79 employees yet ranked as one of Erie County’s “biggest polluters.” The new owners would have a generous amount of real estate, with the Huntley site covering 84 acres and including more than 2.5 million square feet of space in several structures. Two other off-site parcels add another 124 acres. The riverfront location is a plus, at 3500 River Road and 4293 River Road. It includes a 756-foot dock along the Niagara River. It also provides quick access to Interstate 190, rail lines and a water treatment plant. A large caveat accompanies any resolution. The plant closure left behind a toxic residue from a century of coal-fired power generation. Whether the plant is reused or structures are razed is of major concern for residents. Cleanup costs will need to be addressed. While the town wants to discuss the possibility of tax incentives with the buyer, Emminger said the town will continues to try to acquire the property through eminent domain. There are good reasons for the town’s efforts. Officials want to preserve the flow of untreated water to industrial customers such as PeroxyChem, tire maker Sumitomo and 3M O-Cell-Sponge. Details remain murky but there is finally some reason for optimism when it comes to the Huntley plant.